Guess what today is?! It's Monday and that means there is a new Epi of of The Originals on tonight! It’s a spin-off series of The Vampire Diaries. I’m so excited I made some Originals inspired nail art lol shocked aren’t ya? The main character Klaus Mikaelson is an “original” vampire aka one of the very first and he is also the first werewolf! He’s a crazy hybrid who does terrible awful things to everyone but then in the next episode they make you love him again. I’m sure it’s because he’s so cute lol. 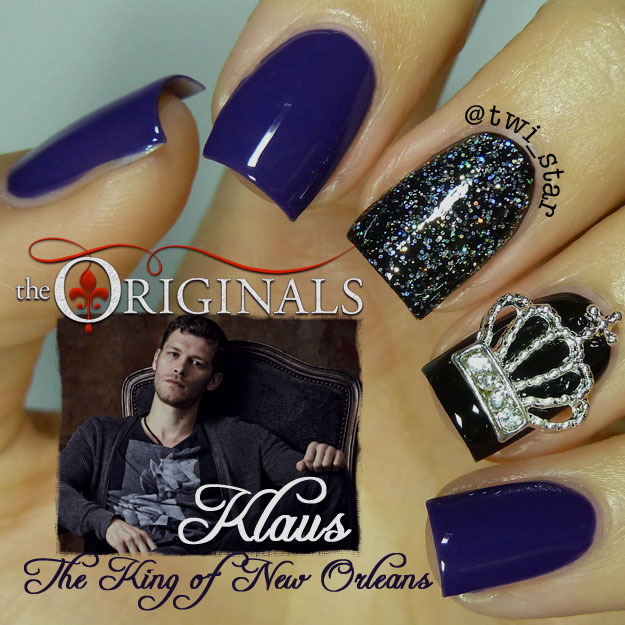 The Originals is set in New Orleans and since Klaus is always trying to be in charge of everyone and everything I went with a King theme. I used a purple to represent New Orleans. Check out what I did. 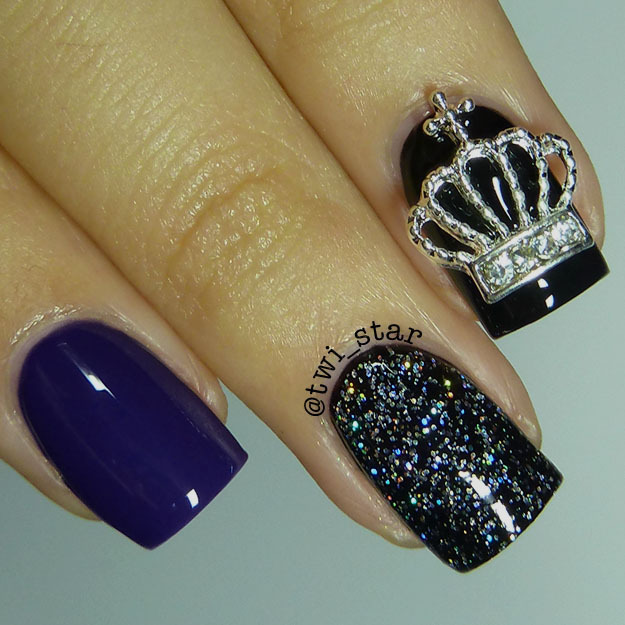 The purple is OPI Do You Have this in Stock-holm from the Nordic collection. It’s a super saturated ultraviolet, I love it! This is 2 coats and it was perfectly opaque. For the base on the middle I used Sinful Colors Black on Black, it’s my go-to black crème. This is 2 coats. I layered OPI My Voice is a Little Norse, also from the Nordic collection. 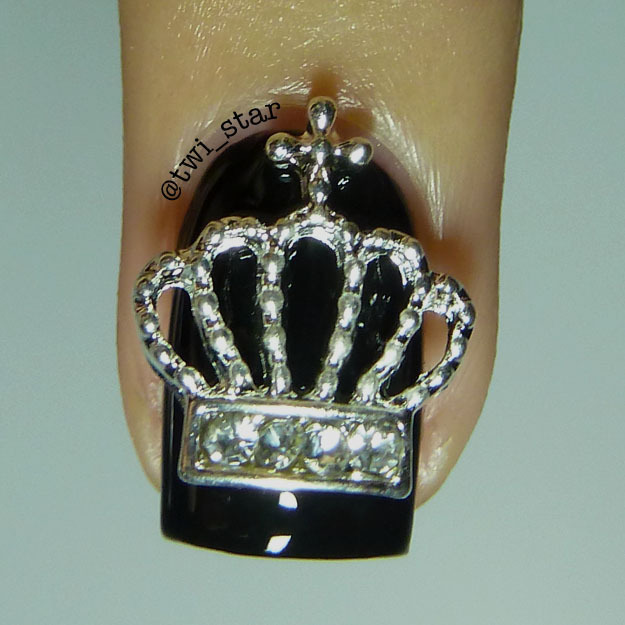 It’s a gunmetal silver and holo sparkle topper. 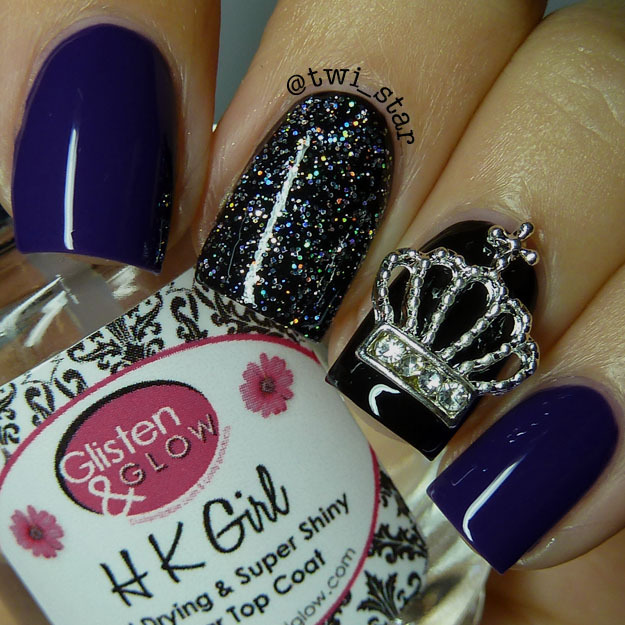 Here is Glisten & Glow HK Girl topcoat. It’s my fav topcoat. I know the Originals theme is kinda subtle with this mani lol but I’m so happy with how this came out!